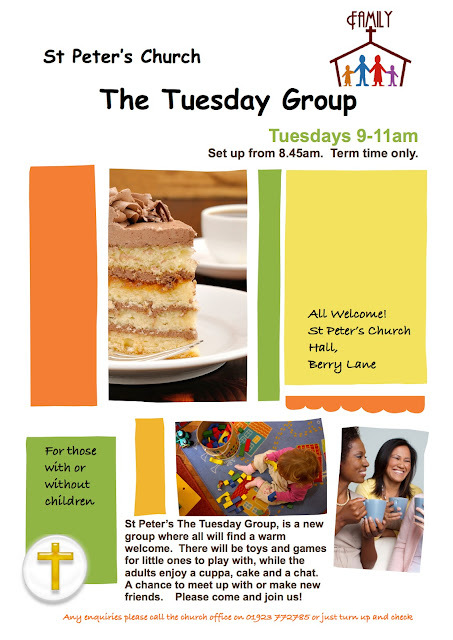 The Parish of Mill End and Heronsgate with West Hyde: The Tuesday Group - community coffee shop. This an informal coffee shop aimed at the whole community. Doors open at 9.00am. There are toys for pre-school age children and real coffee (we're not Starbucks so sorry no lattes!) and homemade cake and biscuits to enjoy as the adults enjoy chat with others! 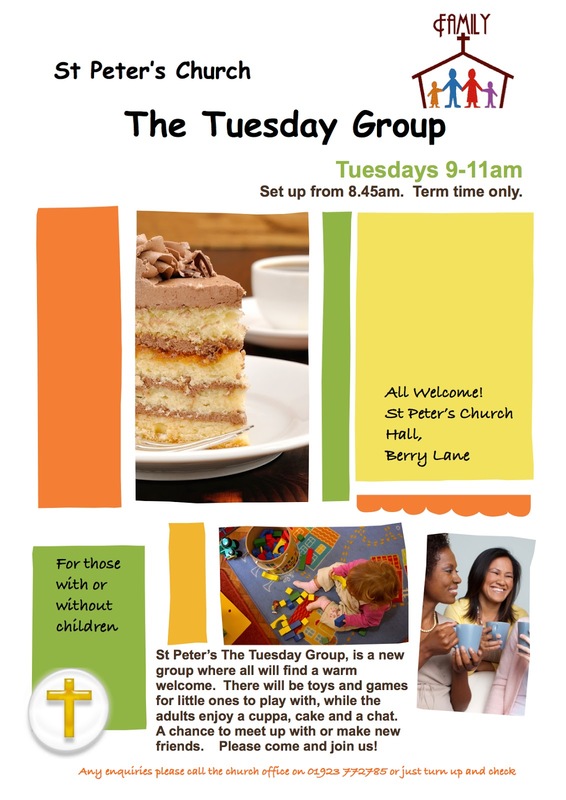 Please come and join us as the group is open to all stages and ages within the community.